Habitat Backwater of pond and stream. 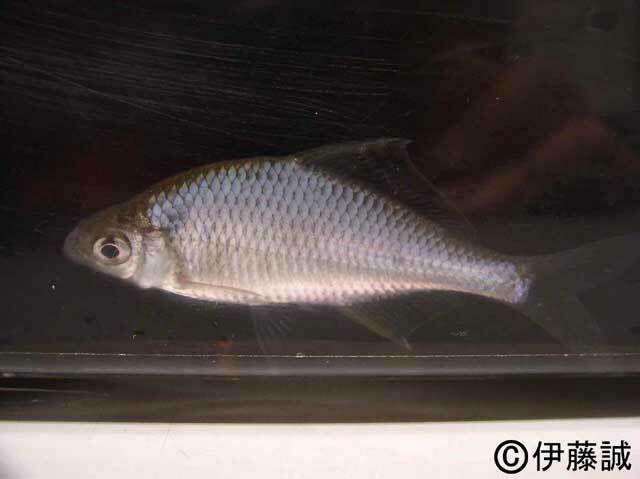 This species occur in coast to offshore, and overwinter around 4m depth zone in Lake Kasumigaura. Range in Japan Lake Kasumigaura and Lake Kitaura, Ibaraki Pref. Reservoirs along the Tone River including Chiba, Tokyo, Saitama and Tochigi prefecture. Date The first record in Japan was in 2001, at Lake Kasumigaura, and it is assumed that establishment was by 1999. In Lake Kitaura, recorded since 2003. Route Possibly deliberate: release of pet animal, or accidental: Hitchhiking on carp seedling or pearl bivalve for aquaculture. Impact Competition, hybridization with native fishes. Native organism(s) affected: Native bitterlings. Keeping and release of this species in Shiga Pref. are controled by a prefectural ordinance.